Özkan Meral, Technical Manager at Kohlhammer, together with up-and-coming media designer Sina Gietl. She created the fresh design of the smart vehicles. The Heidelberg Wallbox Home Eco is an inexpensive high-performance charging device for electric vehicles. The system is aimed at individuals and also at businesses and local authorities that want to use the charging station to recharge the electric vehicles in their own fleets as well as those of customers and visitors. The exact details of the diesel ban in Stuttgart are yet to be finalized, but one thing is certain – it will be introduced, and by January 2019 at the latest. 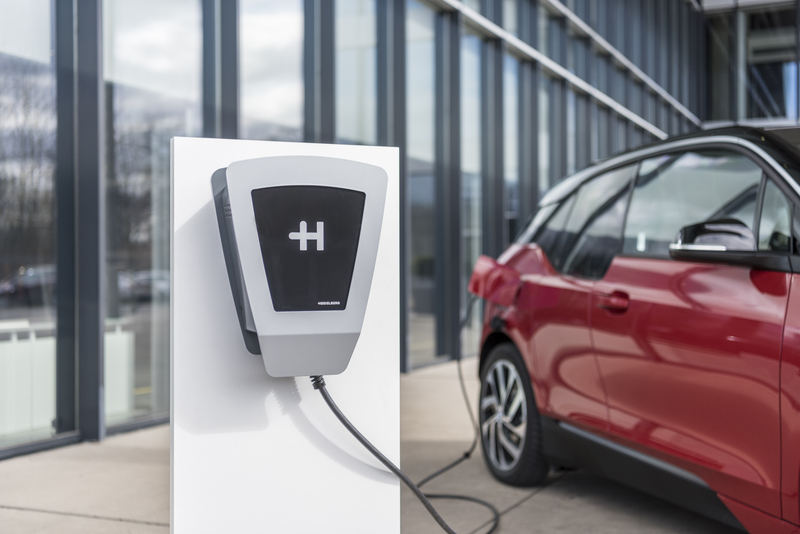 The Stuttgart-based Kohlhammer Group was not prepared to wait that long, opting instead to move into electromobility and fill its fleet with electric vehicles. The company thus ordered three Smart vehicles fitted with fully electric drives that have now been on the road for around four months. For the charging technology, Kohlhammer is using the Wallbox from Heidelberger Druckmaschinen AG (Heidelberg), which was only recently launched onto the market. 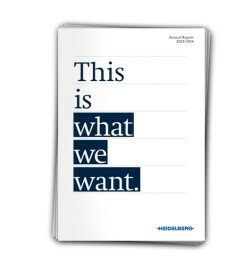 Kohlhammer has enjoyed a close customer-supplier relationship with Heidelberg for many years, but this was previously limited to print shop equipment. A total of five Wallboxes are available for the three vehicles at the headquarters of the Kohlhammer publishing house and the print shop. The company’s customers and visi-tors can also park at these bays and charge their electric vehicles for free. “Our staff were impressed right from the outset and really appreciate the agile and stylish compact cars and the user-friendly Wallbox,” says Meral. “The range is perfectly OK, and in urban traffic they can use bus lanes and parking spaces reserved for electric vehicles, which saves time – and a lot of hassle, too. We no longer worry about driving bans. We also see increasing numbers of customers driving electric cars, and they enjoy using our free charging facility.” Kohlhammer’s positive experience means it will continue to gradually expand its fleet of electric vehicles. 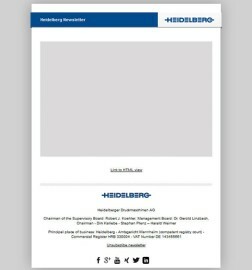 Heidelberg began marketing the Heidelberg Wallbox Home Eco in June 2018 and is selling the product via online platforms such as Amazon, hardware stores, and specialist retailers at prices starting from €499 (including VAT) -in Germany only. The Wallbox Home Eco has a CE-compliant design. 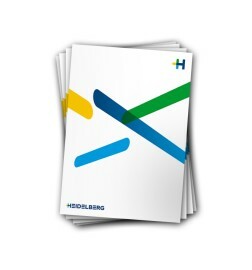 Heidelberg developed all the power electronics itself and they are produced exclusively in Germany. 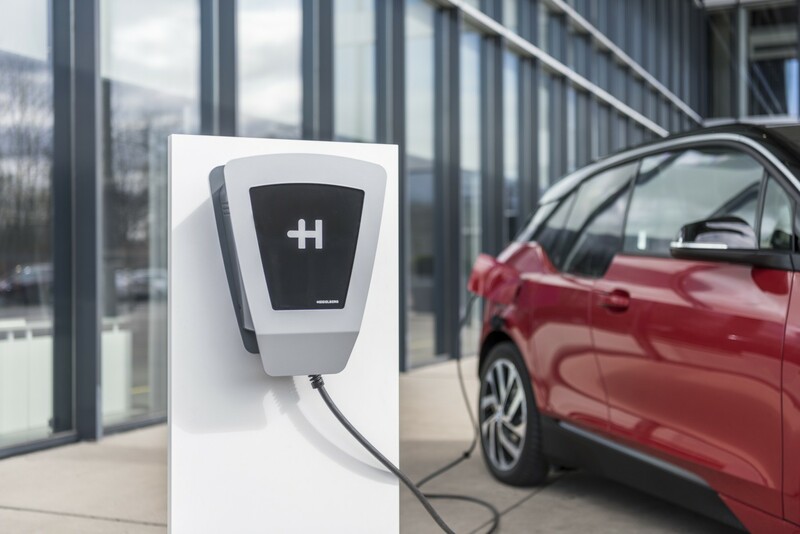 Comparable solutions from Heidelberg have already proved a success, with over 20,000 Wallboxes for the electric cars of a premium manufacturer and over 100,000 smart charging cables manufactured to customer specifications. The Wallbox is a stationary charging device that can be installed on a wall, in a carport or on a column. Thanks to its effective fuse protection and integrated fault current detection, customers can use it not only in garages but also in carports and outdoors. The charging power can be adjusted in a range extending to 11 kW. The exceptionally robust design and operation mean no maintenance or servicing is required. Heidelberg sees the Wallbox Home Eco as a basic entry-level model. It is planning further versions, including a premium product. Figure 1: Özkan Meral, Technical Manager at Kohlhammer, together with up-and-coming media designer Sina Gietl. She created the fresh design of the smart vehicles. Figure 2: The Heidelberg Wallbox Home Eco is an inexpensive high-performance charging device for electric vehicles. The system is aimed at individuals and also at businesses and local authorities that want to use the charging station to recharge the electric vehicles in their own fleets as well as those of customers and visitors.